Dory Burke: Are you going to die like my dad? Jerry Sunborne: As soon as possible, I hope. Dory Burke: [pauses] You're kidding, right? Jerry Sunborne: [muted] Ha ha. If you've seen her 2006 melodrama, "After the Wedding", you can clearly tell this is a Susanne Bier film as her signature style can be seen in the hand-held camera-work, the unexpected jump cuts and the heavy use of close-ups on the physical features of her principal actors during the most cathartic moments. The Danish-born director is an apt choice to guide this somber 2007 drama dealing with grief and addiction in the aftermath of an unexpected death. Showing the unfiltered responses to life-altering experiences appears to be Biers' specialty since that is exactly the focus of both films. This time, the set-up sounds more appropriate as the subject of a Lifetime TV-movie, but despite some severe contrivances, first-time screenwriter Allan Loeb is able to elevate the film by imbuing the situation with surprising candor and making the principal characters credibly flawed. Bier's distorted timeline is a bit of a nuisance at the outset, although this luckily becomes less of an issue as the movie progresses. The plot hinges on the Good Samaritan death of Steven Burke, a successful Seattle-based real estate developer whose sense of decency and devotion inadvertently triggers a series of events leading to the tragedy. 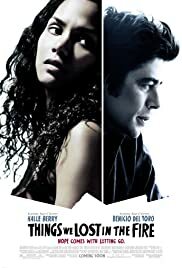 Left behind are two broken people - his angry, emotionally fragile wife Audrey, who has two small children to raise by herself now, and his close friend Jerry Sunborne, a one-time lawyer who has become a full-blown junkie constantly strung out on heroin in a depressing SRO unit downtown. Even though Audrey is distrustful of Jerry, Steven has remained loyal - a point of contention that after Steven's death, motivates Audrey to invite Jerry to stay in her half-finished garage after the funeral. Their relationship becomes confused but at least, it does not make a predictable turn toward a romance. Instead, we witness Audrey's almost instantaneous dependency on Jerry and her subsequent resentment of him when he becomes a father figure for her children. From that point, it becomes gradually clearer that both need to move forward with their lives in light of their personal limitations. As Jerry, Benicio Del Toro inhabits his role to maximum effect, bringing a haunted quality that he leavens with his natural charisma. He is particularly harrowing during his character's detoxification, and you can't help but root for his recovery no matter how uncertain it may be. Finally challenged by a role comparable to her breakthrough in Marc Forster's "Monster's Ball", Halle Berry does an admirable job in portraying Audrey's prickliness while maintaining a sympathetic core. At the same time, she is saddled with more of the plot contrivances than Del Toro and has a breakdown scene that feels a bit too calculated. David Duchovny's natural likability helps make Steven more than just an elliptical plot device, though his screen time is understandably limited to brief flashbacks. 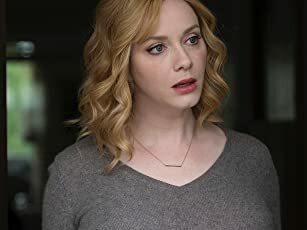 Alexis Llewellyn and Micah Berry (no relation to Halle) believably play Audrey's children, while John Carroll Lynch (the prime suspect in "Zodiac") provides welcome comedy relief as the Burkes' jogging neighbor, a real estate broker who wants to help Jerry turn his life around. Even though his character is supportive to the point of being idealized, Omar Benson Miller effectively plays Audrey's too-good-to-be-true younger brother, and Alison Lohman ("White Oleander") shows up late in the film as a persistently inquisitive recovering addict. The 2008 DVD is relatively sparse on extras. There is no commentary track from Bier or the principal actors, but there is a twenty-minute making-of featurette, "A Discussion About 'Things We Lost in the Fire'", which features comments from Bier, Loeb, producers Sam Mendes ("American Beauty") and Sam Mercer, Berry, Del Toro, Duchovny, Lohman and Miller. Most of the focus is on Bier and Mendes who discuss getting the film off the ground, how she works with the actors and how the look of the film was achieved. Running about nine minutes, seven deleted scenes are included, mainly filler dialogue scenes that were understandably excised except for one with Jerry and a fellow addict out on the streets. The last extra is the original theatrical trailer. By the way, the film's title refers to Audrey's emotional catharsis when she reads an inventory list of things that were destroyed in the garage during an electrical fire prior to Steven's death.